There are hundreds, maybe even thousands of “Hidden Gems” in the form of automotive number plates that are available in Malaysia. NiceCarPlate.Com makes easy to sort through the thousands of readily available number plates by categorizing registration numbers into specific categories such as Golden Number Plates, VIP, Limited Edition, Outstation, and RM, Special Edition, Limited Edition, WW, and Wilayah. While we know that everyone has their own personal favorite number plate, we would like to spend a little time to write about some of the hidden gems that are available in the Latest Number category. 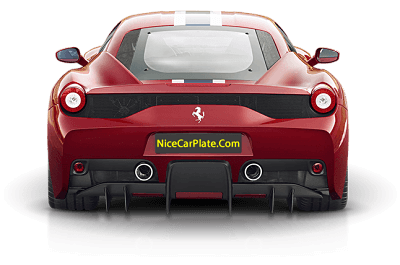 At NiceCarNumber.Com, we consider a “hidden gem” number plate as a quality, collectible number plate number which is listed at a price well below our “expected” fair market value. Let’s take a look at what the Latest Number plate category has to offer. Please note that the availability and price are subject to change. Our Latest Number Plate category is a great place to look for a hidden gem number plate as the numbers are always changing. The number plate series in this category are still being produced which helps to keep the prices low, when compared to a series that is our out production such as our WW series. The prices are low because the series will most likely continue to offer a very similar plate number in the future. For example, today we may see the number plate AAA 1313, since the number series is ongoing, it is safe to say that in time the number AAB, AAC, AAD will all be available with the same digits 1313. Many buyers will not realize the full value of a plate number until the series is no longer available, which makes finding hidden gems that much easier. The Latest Number category list is sorted in numerical order to allow for easy systematic scanning of the available numbers and their prices. Imagine having your own two digit number plate for under five thousand ringgit, well it’s possible with such numbers as QCE 50, QRJ 32, QRJ 45, and WB 45 H, just to name a few. If you’re OK, with 3 digit numbers, we see a lot of great low cost number such as AKA 101, MCM 383 or WB 500 P all with in the five thousand price range. There’s even a few Golden Numbers in our Limited Number Category, which are extremely affordable when considering the current market demand for Golden plate Numbers. Currently we have listed Golden plate number such as WB 3030 R, WB 8383 R, WB 1616 M all for under four thousand ringgit. Our Latest Number series offers many great bargains for people who want to accent their automobile with a unique number plate. We recommend that buyers contact our staff before a number is available to get an idea of the price range and available for a number. Make sure to keep visiting our website to see the latest plate numbers, as we change our listings just about every two weeks.